very odd. BA MMB is showing J rows 10-15 and we have 12J/K reserved. Any ideas what is wrong? Sorry, I'm a bit new to this!! I am also right at the beginning of the learning curve. However, this looks like a 4 class aircraft where F has not been marketed on this route. Given that the rear cabins look pretty full, it will be interesting to see if FLUB materialises. As someone with no status, it is unlikely to affect me though. 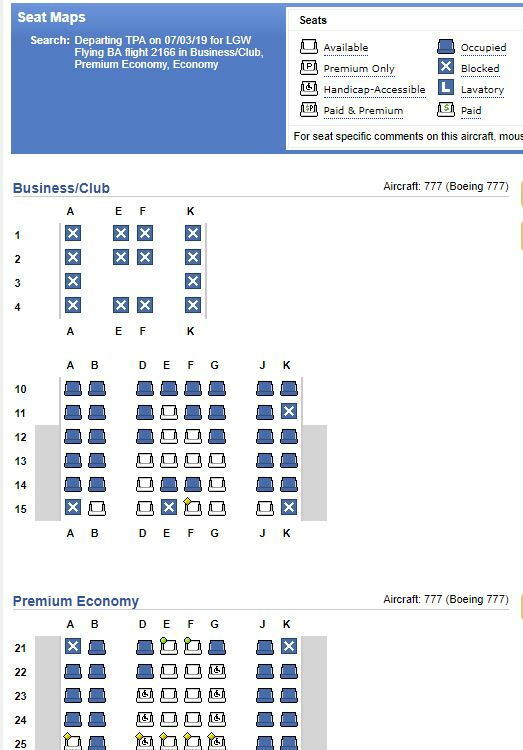 If all Business class fares are zero'd, is there any way to see if this is OverSold? As I said up thread, I'm new to this! 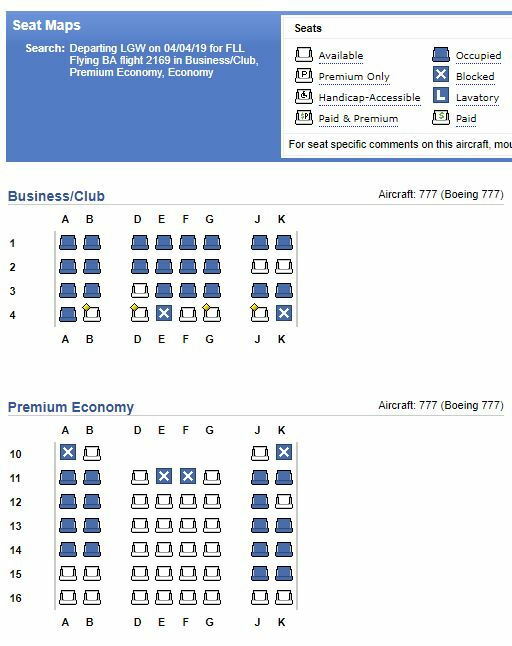 This is what I see in ExpertFlyer - but I think it's just seats reserved, not tickets booked (so if someone has booked into club world but hasn't reserved a seat, I don't know where they are!). I'm.worries that as I'm on a avios booking with 2x241 I'll be chosen to downgrade! Please could someone let me know the loads/availability on this flight please? Hi, if I could get an idea of what the flight loads are for BA33 LHR-KUL on 3 February? Trying to see if it is worth upgrading to WT+, if Y is relatively full. Thanks in advance! Could someone please kindly check the loads for the following?